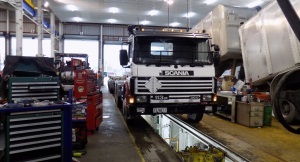 Heslops truck workshop is a purpose built facility which boasts optimum workshop efficiency with an overhead gantry, up-to-date tooling and equipment, heavy duty jacks, overhead airlines, oil dispensing facilities, waste oil collection and easy to clean areas. Hoists also create a safer environment to facilitate cost effective repairs. Ten workshop bays allow plenty of room to work on any sort of equipment. Our specialist staff are qualified to service and repair a large range of equipment from Forklifts and Buses, to Trucks and Trailers, Construction Equipment and Heavy Equipment. As well as the above we specialise in Marine Engines and this sees us working on commercial fishing boats all over the pacific. Heslops are authorised dealers for Scania, Man, Iveco, Detroit Diesel, Western Star, Meritor steer and drive axles, SAF and BPW. At Heslops we have Josam Laser wheel alignment equipment permanently set up in its own dedicated bay. 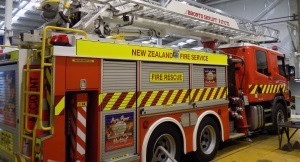 As foundation members of the NZ Heavy Wheel Aligners Association (NZHWAA) we are well informed as to the correct procedures and legal requirements of wheel alignment. Our wheel alignment technicians have many years experience and can check and correct any vehicle, regardless of size and number of axles. At Helsops we have our own brake drum lathe on site which allows the customer the option of machining their drums to get another life out of it rather than replacing it with new drums. To complement our brake drum lathe we also have a brake lining profiler so we can shape the brake lining to the profile of the drum, meaning your brakes will work at full efficiency. 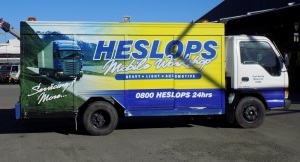 Heslops have 2 trucks with fully equipped mobile workshops, along with a number of service utes. 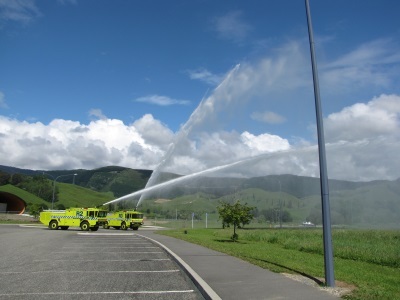 This allows us to cover the wider Nelson / Marlborough district servicing the needs of the heavy machinery sector, truck operators or whatever the requirement may be. The Operator Rating System will enable the NZTA to gather information on your company’s vehicle fleet for targeted fleet audits and CVIU Roadside Inspections. As well as having a major impact on company brand and reputation, published Operator Ratings are expected to affect insurance premiums and local and central government contract success. 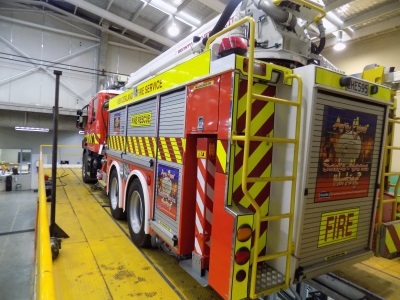 For heavy vehicle operators to save money and retain important customers it will be critical that vehicles pass their COF inspection first time and that they will pass roadside inspections and NZTA audits between COF’s. Over time the Government is also expected to bring in incentives for companies with good Operator Ratings and they may target companies with poor Operator Ratings with additional taxes and compliance costs. This has created a strong demand from heavy vehicle operators for independent assessments outside of the Certificate of Fitness (COF) inspection, to ensure that vehicles will complete their COF and CVIU roadside inspections without adversely affecting their operator rating. HESLOPS can provide a thorough and independent inspection for vehicles at any time. Pre-COF inspections will include advice on preventative maintenance that will save money and enable operators to stay ahead of their competitors.